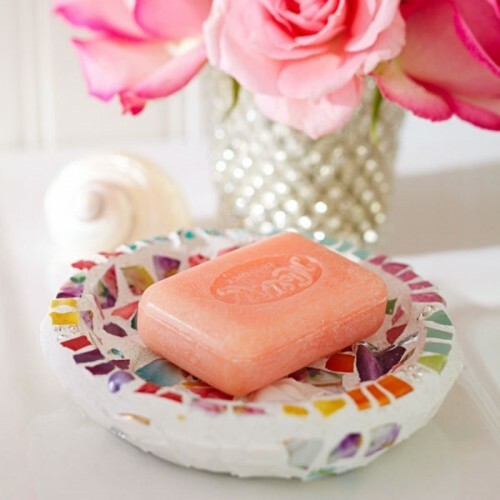 A soap dish is a cool accessory or a simple but nice gift. 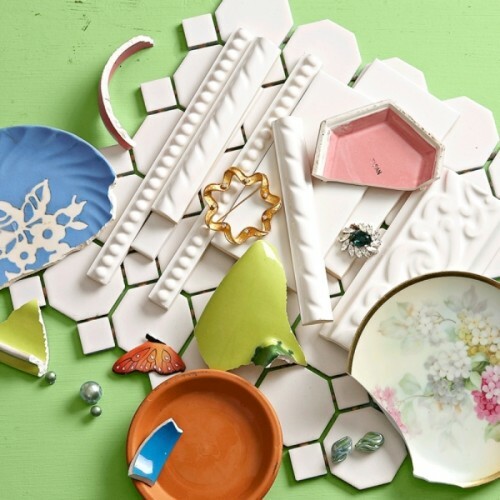 Let’s make one; the supplies are some pieces of tiles, ceramic and so on, a brush for glue, base coat, glue for ceramics, a toothpick, some trowelling. 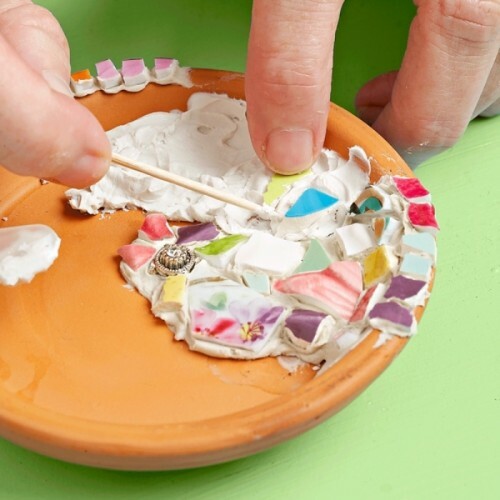 Put some glue on the base and the pieces of ceramics on it, making the pattern even with the help of a toothpick. To have an even surface, press the pieces into the base differently, according to the thickness of the pieces. Now take the trowelling and fill the joints between the pieces. 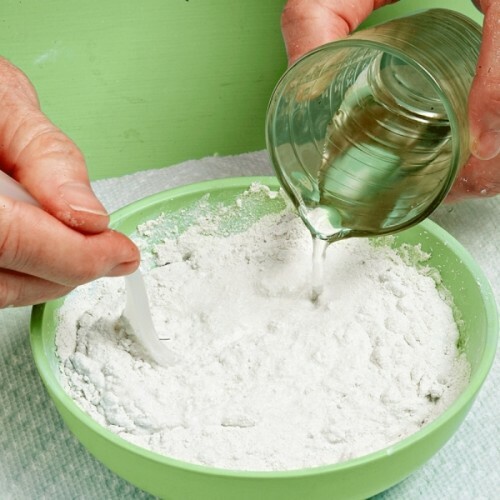 The rest can be wiped out with a paper towel. Leave the soap dish to dry for 1-2 days.